Posted on May 1, 2018	by Rachel L.
The skills required to succeed in business involve a focus on sales – and those abilities may cover more than leaders anticipate. What do well-rounded sales skills encompass? Making a sale is a complex, multi-step process that can be less straightforward than it seems. It takes a lot of knowledge – about customers, products and the company itself – to effectively complete a sale. Furthermore, a lack of interpersonal communication ability, one of the much-vaunted “soft skills” taking business by storm, can put a halt to this process. In an era when more parts of companies are functioning on a sales-styled model, imparting relevant soft skills can have a big impact on overall effectiveness. Training is a major consideration for leaders who find their teams aren’t equipped with the abilities they need to make deals, whether that involves dealing with external customers or brokering agreements between internal departments. Becoming more adept at managing the sales process is a boost in ability that can linger with employees for years, providing benefits for them and their organizations alike. “Finders” are individuals who seek out new opportunities and markets for sales. These are the individuals with prominent social abilities, winning others over and opening doors for organizations. “Closers” are more akin to the traditional image of a salesperson – they are cool and confident, can follow scripts effectively and are experts at finishing off the process. “Developers” work in the spaces between the two other roles. They are persistent and personable. They deal with existing leads who aren’t ready to commit to buying right away and get them in a position for the closer to move in. These three prongs – detecting leads, developing them and closing the deal – should work together, according to Bet-David. All three positions are far more committed to soft skills than hard knowledge. Those abilities, winning people over and driving an organization to success, are sources of value both in the sales department and further up the chain of command. Individuals who are able to synthesize a rounded role from the various kinds of sales performance may find themselves especially thriving in today’s business environment. Deal-making is an essential part of the modern business tool kit. Despite the performance advantages that can come with moving sales-centric soft skills outside of narrow department confines, workers may resist learning more, at least at first. Harvard Business Review contributor Rebecca Knight explained that the importance of possessing selling aptitude for workers outside the sales department is clear, but that employees may be laboring under an outdated perception of sales. They think about making the hard sell, being pushy and sticking buyers with items they don’t want. Think of the process as motivation rather than arm-twisting, and the value becomes clear. Knight quoted Edinger Consulting Group’s Scott Edinger, who pointed out that day-to-day meetings within companies are great places to use a sales aptitude. Dealing with outside individuals is an even clearer example of a situation that calls for sales. People who have taken the time to acquire the right soft skills will have a broad toolkit of abilities to work with in these scenarios. Those who overlooked or disparaged selling may be left behind. Edinger noted that being a great seller, even outside of dedicated sales roles, will involve getting a deep understanding of any given situation. Good salespeople find out what the other party wants in any negotiation, and they develop their pitches rather than going off the cuff. Closing is also important, but not in the sense of rushing people through important decisions. Instead, great sellers are flexible and ready to listen, all the way through the process. When it’s time to train the workforce, there’s no need to be vague or avoid getting to the point. There are many types of courses aimed directly at sales and imparting the related soft skills. The following are a few examples of these modules. Deliver Rich and Engaging Presentations: Sometimes, the element that seals a deal may be a convincing and well-researched presentation. This course is designed to help people sell their ideas in presentation form, whether they’re dealing with clients or internal stakeholders. Craft a Value Proposition: Being persuasive comes down to what a person is offering. This training module is all about the all-important process of highlighting potential value, customizing the pitch based on the intended audience. Sales Calls: Staying Customer Focused: Following the sales call process from beginning to end means covering a lot of thematic ground while always staying aware of the client’s needs. 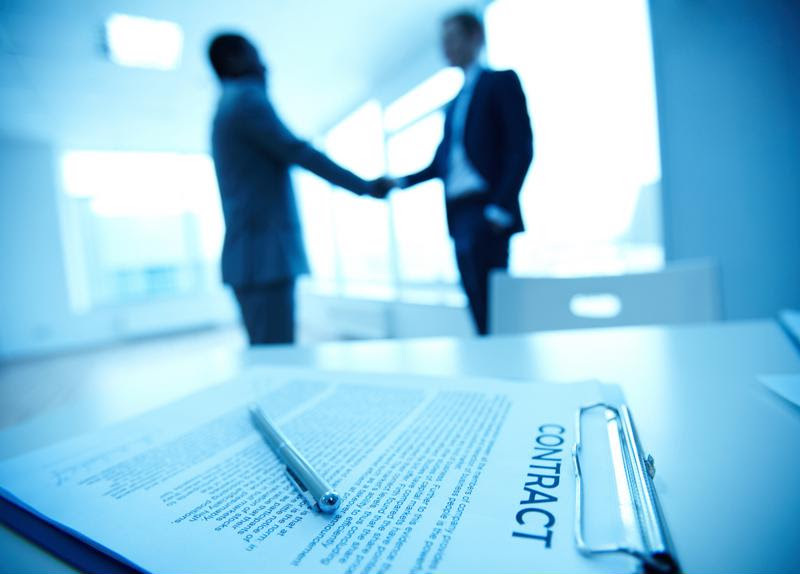 This lesson leads employees through seven distinct steps of closing a deal. Just as there are many skills associated with becoming a great seller, there are a host of potentially relevant courses. For employees in many different roles, this type of education could be pivotal. This entry was posted in Professional Development and tagged sales, sales training, soft skills. Bookmark the permalink.